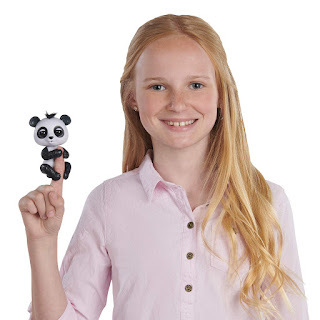 Today only Amazon has the WowWee Fingerlings Glitter Panda on sale for $5.99, down from $14.99. This price is for today only as part of their deal of the day. Meet Drew, a baby Fingerlings panda who is serious about having fun! He's curious about the world around him and loves to grab onto things... especially your fingers! With iridescent sparkles on his arms and legs, Drew loves to shimmer and shine! He also responds to noise, motion and touch in all kinds of sweet and comical ways.